Background and Aim: Non-alcoholic fatty liver disease (NAFLD) is common among HIV-infected (HIV+) adults. The Liver Fat Score (LFS) is a non-invasive, rapid, inexpensive diagnostic tool that uses routine clinical data and is validated against biopsy in HIV-uninfected (HIV-) persons. 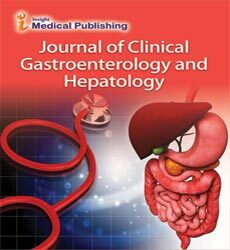 CT liver-to-spleen (L/S) attenuation ratio is another validated method to diagnose NAFLD. We compared NAFLD prevalence using the LFS versus L/S ratio among Multicenter AIDS Cohort Study participants to assess the LFS’s performance in HIV+vs. HIV-men. Methods: In a cross-sectional analysis of men reporting<3 alcoholic drinks daily (308 HIV+, 218 HIV-), Spearman correlations determined relationships between LFS and L/S ratio by HIV serostatus. Multivariable regression determined factors associated with discordance in LFSand L/S ratio-defined NAFLD prevalence. Results: NAFLD prevalence by LFS and L/S ratio were 28%/15% for HIV+men and 20%/19% for HIV-men, respectively. Correlations between LFS and L/S ratio were weaker among HIV+than HIV-men, but improved with increasing BMI and exclusion of HCV-infected men. LFS and L/S ratio discordance occurred more frequently and across BMI strata among HIV+men, but predominantly at BMI<30 kg/m2 among HIV-men. In multivariate analysis, only lower total testosterone levels were significantly associated with discordance. Conclusion: NAFLD prevalence was similar by LFS and L/S ratio identification among HIV-men, but dissimilar and with frequent discordance between the two tests among HIV+men. As discordance may be multifactorial, biopsy data are needed to determine the best non-invasive diagnostic test for NAFLD in HIV+persons.